Director Claude Lelouch, best known for his 1966 film A Man and a Woman (which won both the Best Foreign Language Film Oscar and the Cannes Palme de Or) is still going strong at 78, and continues to be versatile in all genres, from comedies to dramas, love stories to thrillers. Robert et Robert is an eccentric laugh fest that riffs a bit on The Odd Couple with two unlikely middle-aged friends (Charles Denner, Jacques Villeret) named Robert – one a boisterous cab driver, the other a shy wallflower – deciding they’ve had enough of the single life and applying at a dating agency, resulting in an escalating chain of ever more screwball misadventures. 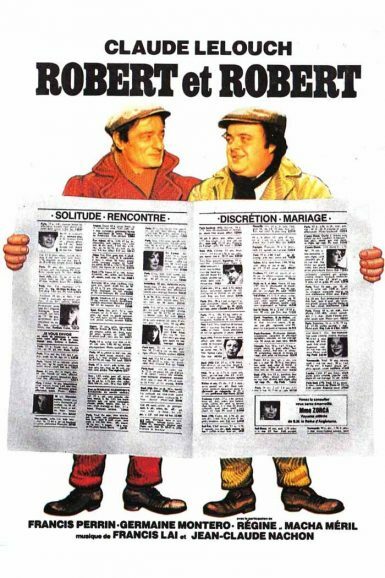 Marc Edward Heuck discusses Robert et Robert on the New Beverly blog. Serge Reggiani (Le Doulos) is an idiosyncratic police inspector investigating the death of a wealthy, womanizing bourgeois (Jean-Pierre Aumont) who was hated by his beautiful wife (Michelle Morgan, Port of Shadows). 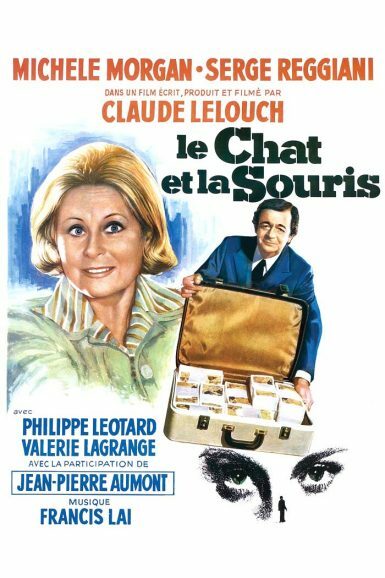 Director Claude Lelouch delivers his usual deft touch, carefully balancing comedy with the mystery and drama. Reggiani has all kinds of subtle dirty tricks up his sleeve to pry loose incriminating information, and he proceeds with abandon, even though he is falling for his main suspect.